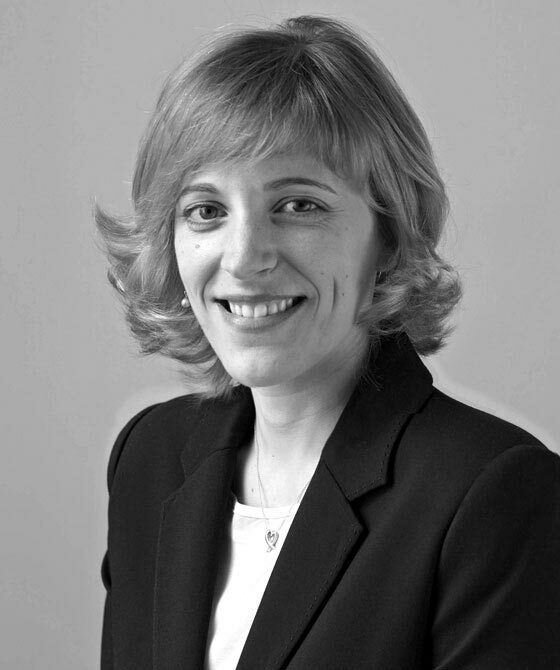 Caroline Stone’s practice focuses on public, regulatory and employment law. Cases of note include acting as junior counsel in a 6-week ‘fitness to practise’ hearing before the General Medical Council, advising as to the legality of a European Arrest Warrant and litigation involving a national security dimension, including immigration matters. Caroline has experience of advocacy in the High Court, County Courts and various specialist Tribunals such as the Employment Tribunal. She also has a busy advisory practice. Complementing her domestic practice in public law and human rights, Caroline also has extensive experience of international law and foreign jurisdictions. Having worked at the War Crimes Chamber of the State Court of Bosnia and Herzegovina (Sarajevo) prior to joining 3PB, in 2012, Caroline was a Judicial Assistant to the Appeals Chamber of the Special Court for Sierra Leone (based in The Hague), dealing with appeals arising from the conviction of Charles Taylor, former President of Liberia. In late 2011, as a Pegasus Scholar, Caroline undertook a 2-month secondment at the Legal Resources Centre, Cape Town, one of South Africa’s pre-eminent public-interest law clinics. Her work ranged from conducting asylum seeker and refugee appeals to advising on the constitutionality of proposed legislation which purported to restrict access to sensitive state information and criminalise ‘whistle-blowing’ in the security sector. Caroline’s meticulous attention to detail, pragmatic advice, personable approach and keen instinct for legal argument are among her key strengths. These skills are of particular value in the protracted, multi-party (Claimant and/or Defendant) cases in which she is often instructed, especially those involving substantial documentation. In 2009, Caroline was nominated for a Bar Pro Bono Award for her involvement in R (Compton) v Wiltshire PCT, for which she and her co-counsel received a special commendation from the judging panel. Caroline has a passion for singing and photography. Reflective of the expansive nature of modern government, Caroline has a wide-ranging public and regulatory law practice, with an expertise in litigation involving a national security dimension. Caroline’s national security work includes civil damages claims (arising from allegations of false imprisonment and/or misfeasance in public office) and immigration bail applications requiring consideration of Article 5 ECHR. Her aptitude for constructing legal submissions from ‘first principles’ - enhanced in the course of her international work (see further below) - is well-suited to this area of work, particularly in relation to the novel human rights and disclosure issues which frequently arise. In September 2016, following 5 years on the ‘C Panel’, Caroline was appointed to the ‘B Panel’ of the Attorney-General’s List of Junior Counsel. Having observed judicial review from both sides of the public law spectrum, she is sensitive to the frustrations and complexities of litigating both for and against public authorities. Statutory review and appeal by an individual deprived of British nationality and subsequently excluded from the UK (whether the Secretary of State abused her powers by deliberately seeking to deprive this individual whilst he was abroad). Multi-party civil litigation arising from the detention of individuals at Guantanamo Bay and Coalition facilities, raising complicated issues of disclosure and international human rights and humanitarian law. This work was undertaken, in part, during a six-month secondment to the Foreign and Commonwealth Office. Caroline has also advised in relation to challenging decisions of the Police Medical Appeals Board (receipt of injury awards/pensions) and various public law matters arising from UK Border Agency enforcement action (including challenging the improper exercise of judicial discretion to grant leave to appeal out of time). Prior to being called to the Bar, Caroline gained extensive experience of public law and human rights issues. As a Legal Intern at the Public Law Project for 7 months (2005), she advised on diverse matters ranging from the powers of the Criminal Records Bureau and DVLA to challenging the lack of support for ‘looked after’ children. One of her more unusual cases involved the decision of a PCT Joint Exceptions Panel concerning the provision of elective plastic surgery. In 2006, Caroline worked as a researcher on the ‘The Dynamics of Judicial Review Litigation’, a Nuffield Foundation-sponsored study into the mechanics of judicial review, in particular the permission stage, undertaken by the Human Rights Centre at the University of Essex. As part of this research, Caroline interviewed dozens of solicitors - working for central and local Government, leading private firms and NGOs - about their experience of the judicial review process. These interviews related to specific judicial review applications covering all the core public law areas, including prison law, education and asylum support. Caroline’s work in various foreign jurisdictions complements her domestic public law and human rights practice. Appeals Chamber, Special Court for Sierra Leone, The Hague (2012) – as a Judicial Assistant (P3), Caroline worked on the preliminary appellate proceedings arising from the conviction of Charles Taylor, former President of Liberia, for being an accessory to war crimes and crimes against humanity in neighbouring Sierra Leone. This role involved complex legal research, drafting and case-analysis. Visiting Pegasus Scholar, Legal Resources Centre, Cape Town (Autumn 2011) – a privileged opportunity to work at the ‘coal face’ of public interest law in South Africa, encompassing a variety of public law and constitutional challenges. Please see Caroline’s report in the Inner Temple Yearbook for further details. War Crimes Chamber, State Court of Bosnia and Herzegovina, Sarajevo (2007) – as a Judicial Assistant, Caroline drafted procedural and substantive decisions, including a major Judgment in a case involving crimes against humanity (Tanasković, X-KRŽ-05/165) and a procedural decision concerning the legitimate use of pre-trial confessions as evidence and the scope of the right to silence. As an adjunct to her public and regulatory law practice, Caroline has significant experience of asset forfeiture law. Under the tutelage of her pupil supervisor Judge Sutherland Williams, Caroline was exposed to the full range of asset forfeiture work undertaken by 3PB for both Prosecuting Authorities and Receivers, including civil recovery and restraint proceedings. She was involved with numerous High Court and Court of Appeal hearings, many of which raised Article 7 ECHR challenges. Caroline has a keen interest in further developing her asset forfeiture practice. Her aptitude for cutting through complex statutory provisions lends itself to this area of law; so too, her ability to research foreign law. Caroline has lectured on the subject of Civil Recovery Orders. During pupillage, Caroline assisted in the preparation of this crucial Court of Appeal case which determined the scope of the amended legislative steer contained in the Proceeds of Crime Act 2002. Caroline is a Member of the Proceeds of Crime Lawyers’ Association. Caroline is regularly instructed to advise on and appear in Employment Tribunal proceedings. Her cases range from preliminary hearings to substantive multi-day trials, representing the full spectrum of the labour market – from cleaners to hedge fund employees; care home providers to public authority employers. Caroline’s meticulous attention to detail ensures she is always fully conversant with the finer details of her client’s work environment, of particular assistance in relation to industries which are heavily regulated or more technical in nature. Caroline has also advised on the merits of appealing decisions to the Employment Appeal Tribunal. Caroline represents both Claimants and Respondents, providing valuable insight into the complexities of the workplace environment and the underlying sociological factors which drive and shape employment litigation. She is alert to the commercial realities which often call for the pragmatic resolution of a case. Caroline has a growing practice in education law and is keen to further develop her interest in this field, in particular cases concerning special educational needs (‘SEN’). Whilst at the Public Law Project, Caroline’s education-related work included advising on the lawfulness of a University’s disciplinary scheme and the legality of a decision to close the last all-male state school in Hackney. Caroline has also provided training to local authorities and Independent Review (formerly Appeal) Panel members on the subject of exclusion appeals, most recently in respect of the legislative changes which came into force in September 2012.